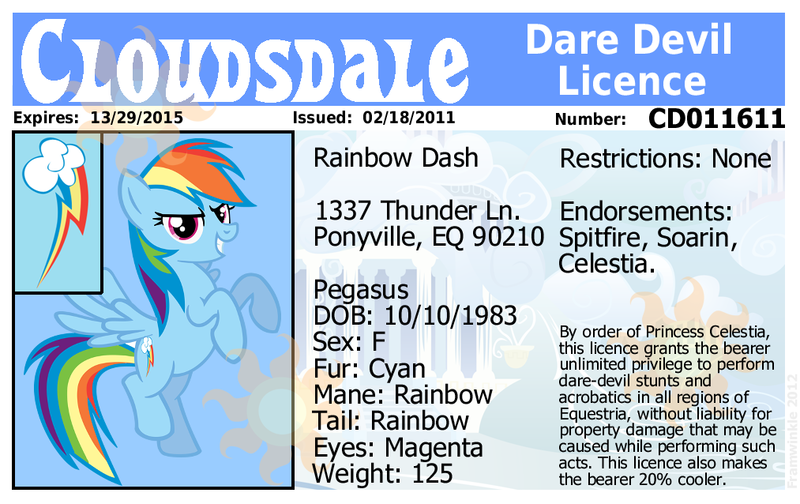 When Dash mentioned having to turn in her dare devil licence if she got a hooficure in "Ponyville Confidential", I figured I should create her licence, just for fun. It should even be printable, just in case you want one of your own. Issued 02-18-2011, the day Sonic Rainboom aired. I figured that was the day she earned it, for her fantastic flying, and saving 4 ponies lives. Her address is of course 1337, (leet) and I liked Thunder Lane as a street name, which was of course inspired by the pegasus named in "Hurricane Fluttershy". Date of Birth is 10/10, the day season 1, episode 1 aired. The year is when My Little Pony first aired, which would make her about 29, which might be a little older than she should be, although it doesn't really matter since we have no clue how old the ponies really are. 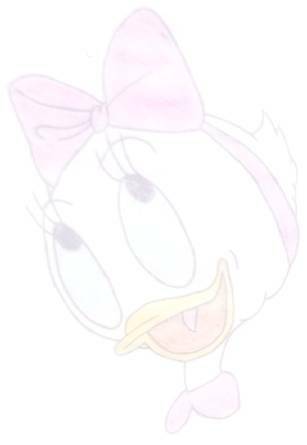 I was going to use 2003, which was when RD first appeared in Gen3, but then I think she'd be too young. This page © Copyright 2012, by Framwinkle.